Conference championship weekend is upon us with NCAA teams across the nation racing for team titles and pursuing qualifying times that will ensure their place at March’s NCAA Indoor Championships. Here are the biggest questions that will be answered this weekend in Ann Arbor at the Big Ten Indoor Championships. 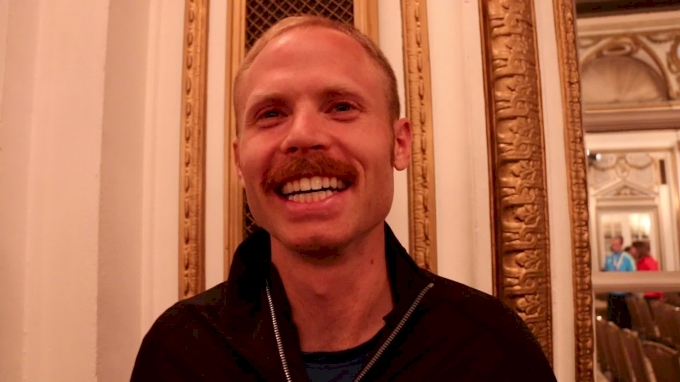 1) How does Wisconsin use their men’s distance stars? At the start of the season, Wisconsin had an ambitious checklist--and they’ve made significant progress thus far. Oliver Hoare has the top time in the nation in the mile and has a national qualifying time locked up in the 3000m. Morgan McDonald is also safely through in the 3000m. Last weekend, the men’s distance relay team finished runner-up to Notre Dame and ran the second fastest time in the nation. The only outstanding issue is McDonald in the 5000m. If they want to have a chance at the top of the podium at the NCAA Indoor Championships (they are currently ranked second behind Florida), they will need McDonald’s points in the 5000m. This weekend is the last opportunity to get that mark. Right now, the 16th and final qualifying time is 13:42, a mark that McDonald could comfortably hit in a traditional race. But at the Big Ten Championships, the 5000m comes at the end of the meet, hardly an ideal time to run fast. Wisconsin will have to balance their desire to score big points at this meet with their national ambitions, two goals that are often in conflict. Doubling and tripling athletes is a difficult formula to figure out and there’s no doubt that Mick Byrne and his staff are mulling over all the possibilities. 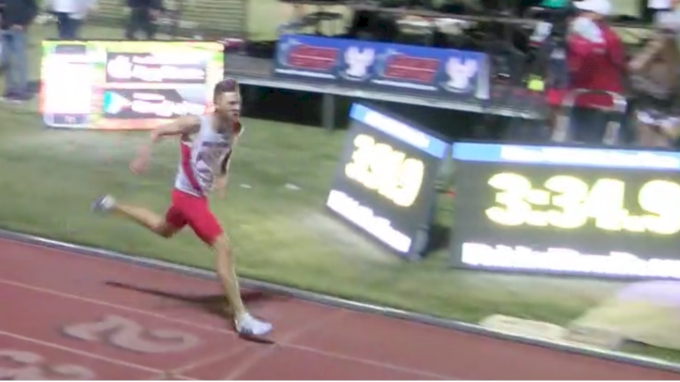 Assuming Hoare runs the mile, he will have a tough race on his hands with Kyle Mau of Indiana, George Kusche of Nebraska and Jon Davis of Illinois all expected to compete. Mau and Davis have marks inside the top 16 already, while Kusche’s 3:59 puts him 24th on the yearly list. 2) Can Danae Rivers win two individual Big Ten titles in the same meet? The junior from Penn State has won one individual title at her four previous Big Ten Championships--but she’s never pulled off a double before. This season she looks stronger than ever and will be the heavy favorite in both events if she does decide to double. Rivers ran the national lead in the mile at the Millrose Games with a 4:29.27. In the 800m, she ran 2:02.94, tops in the Big Ten and good for third in the nation. She also ran a collegiate record this winter in the 1000m, an early indication that this was shaping up to be a special winter. 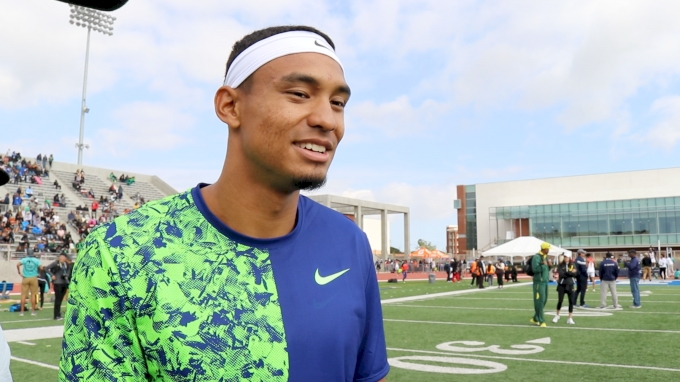 3) Who wins the first men’s 800m title in the post-Isaiah Harris era? The Penn State star ruled over the event during his three years at Penn State, going a perfect six-for-six in 800m Big Ten Championships in his career. But Harris went pro after winning the NCAA Outdoor Championships last summer, leaving open the opportunity for a new champion to step forward. The best candidates are Indiana’s Cooper Williams and Penn State’s Domenic Perretta. The two are ranked eighth and 12th, respectively on the yearly descending order list. 4) Will Alicia Monson win her first Big Ten track title? The breakout star from the fall has the ability to sweep the 3000m and 5000m, but with the 3000m and distance medley relay taking place on the same night, it’s unclear which races she will run. 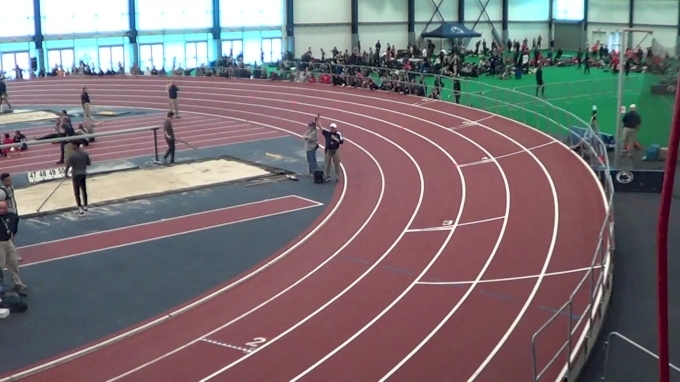 Last year at this meet, Katherine Receveur of Indiana pulled off the 3000m/5000m double. 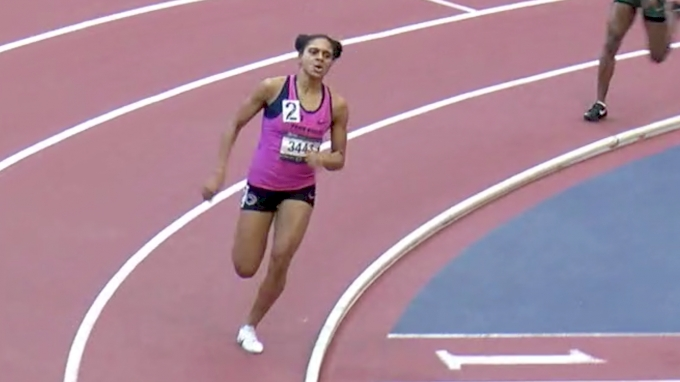 If she attempts it again, she will likely serve as Monson’s best competition, though if Monson is anywhere near the form she showed at the Millrose Games when she ran 8:45.97 at set the national lead, she will roll this weekend. 5) How many titles can Nick Gray add to his resume? The Ohio State senior currently has eight Big Ten titles, indoors and outdoors. Last year, he won the 200m and was a part of Ohio State’s winning 4x400m team that clinched the team title for the Buckeyes. He’s been strong again this year--putting up a 6.61 in the 60m and a 20.82 in the 200m. The 60m mark has him in the top 16, while in the 200m he is the first man out in 17th. He’s also not the top seed in the 200m for this meet. That distinction belongs to Devin Quinn of Illinois. Quinn never placed higher than third at a Big Ten Championships, but with season bests of 6.64 and 20.78 he will push Gray in both events. 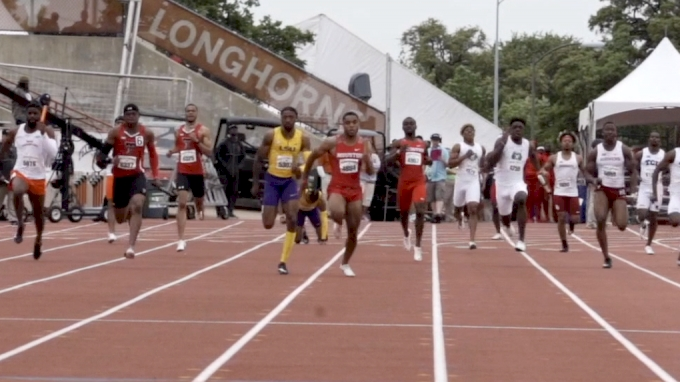 6) Can Iowa sweep the men’s 400m? 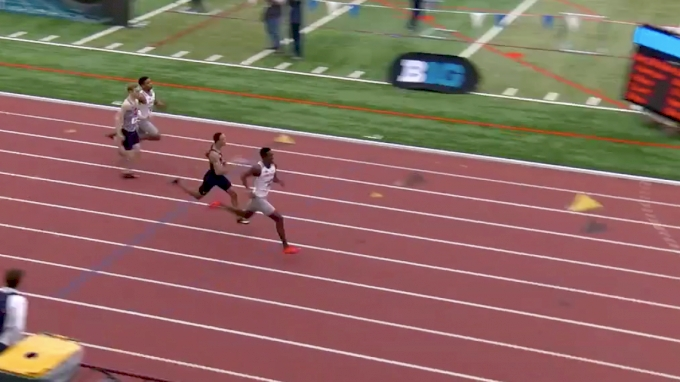 The Iowa men are loaded across the board in the 400m. Senior Mar’Yea Harris returns after an outdoor campaign where he won the Big Ten title and finished fourth at the NCAA meet. His season best of 46.02 is the fastest in the conference. He will be joined by two new Hawkeyes, junior college transfer Karayme Bartley and freshman Wayne Lawrence Jr.
Lawrence Jr. has been right behind Harris this year, with a best of 46.14 and Bartley ran 46.39 in mid-January. Those three make Iowa the overwhelming favorite in the 4x400m and gives them three good chance to unseat reigning 400m champion Izaiah Brown of Rutgers. 7) Who prevails in the women’s 400m? It’s shaping up as a battle between youth and experience in the women’s 400m. The top two entry times come from Penn State freshman Alexis Holmes (52.58) and Iowa senior Brianna Guillory (52.67). Both women should be safely into the national meet so the intrigue here rests solely on whether Guillory can retain her title against the 2018 New Balance Outdoor Nationals champion. 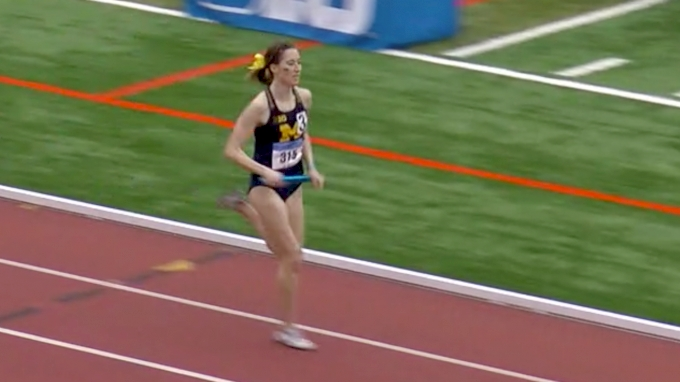 8) Can anyone stop Michigan women’s DMR? Last year, Michigan won the women’s DMR, but were disappointed after the race because they didn’t run fast enough to qualify for nationals. This year, they won’t have to worry about hitting a mark. 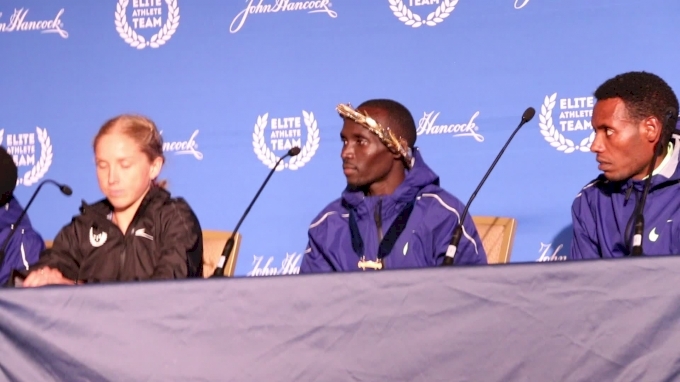 They enter the meet with the time in the nation and the role of favorite in a very competitive race. In total, four of the top 12 qualifying women’s teams are in the Big Ten (Indiana, Wisconsin, Ohio State). Add in a Penn State team that is on the bubble and there are all the makings of a great race. 9) Will Anavia Battle sweep the sprints? The sophomore is the top seed in both races and will be looking to win her first individual conference title after a series of top-five finishes in her freshman year. Her time of 23.00 in the 200m puts her seventh on the yearly list, but she has some work to do in the 60m where her 7.32 is good for 25th best in the nation.